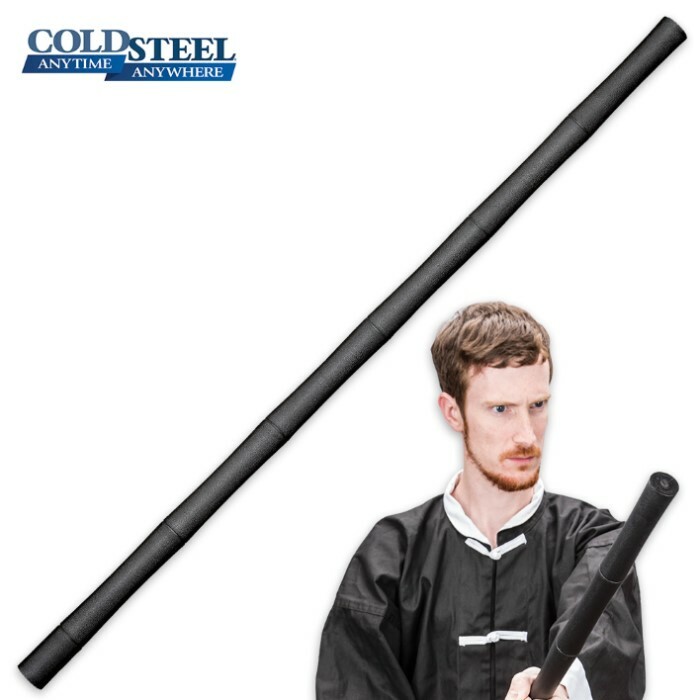 Cold Steel's brand new Escrima Stick resembles a traditional rattan stick in length, weight, and cross section, it is however, much more durable because it is injection molded from super tough black polypropylene. Unlike rattan, it resists mildew, and will not dry out, warp, crack splinter or shrink. It is easy to clean and is resistant to impact stresses and the elements. 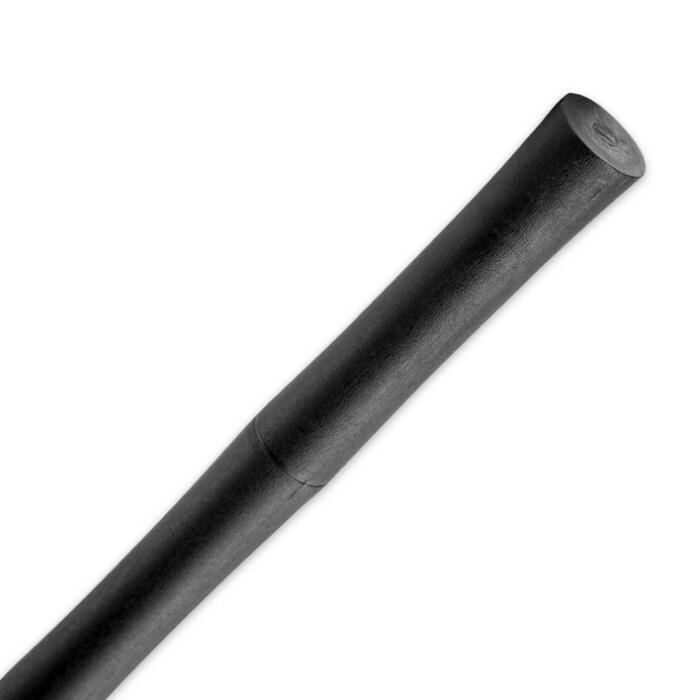 This Escrima Stick is virtually unbreakable and practically indestructible. I ordered two when I bought these. They are great. And a great deal. I'm a competent stick fighter and have to say these work great. They're a bit heavy for beginners, but that weight really gives your forehead arms and grip a work out. After heavy impact training they only get little scuffs, not dents or anything. I have several hard wood sticks, and after one training session they start to chip and splinter. These cold Steel ones work great for training and actual stick fighting. I used athletic tape for a more secure grip, as hands get sweaty during training. I highly recommend any stick fighter getting a pair of these. They are one of my favorite things I have gotten from budk, and one of the best deals. I will be getting two more. Hats off to cold Steel for making these and budk for selling them. Shipping and service is a 5 with no question. This pair, even though I was in full awareness of the fact, is just slightly longer than more "traditional" escrimas. They begin to bend upon constant striking especially in warm weather (because plastic is sensitive to temperature and its flux). The scratches that begin to appear on them gives them character--and--they want to be used right? Little heavy but that just adds a nice weight to it, unfortunatly after a brief scuffle with an older brother it now has a somewhat permanent slight bend. by now it's got nicks and scratches all over but i'm considering getting another. This thing rocks. Like the other reviews, this escrima stick will not break under normal use. This is pretty much the best one handed weapon you could have in your hand. Its heavy for a purpose, and that is to be full size and full power. If you get this, you wont have to be the guy who pulls out a plunger handle in a fight. My orders came in fast and as always----very satisfied! 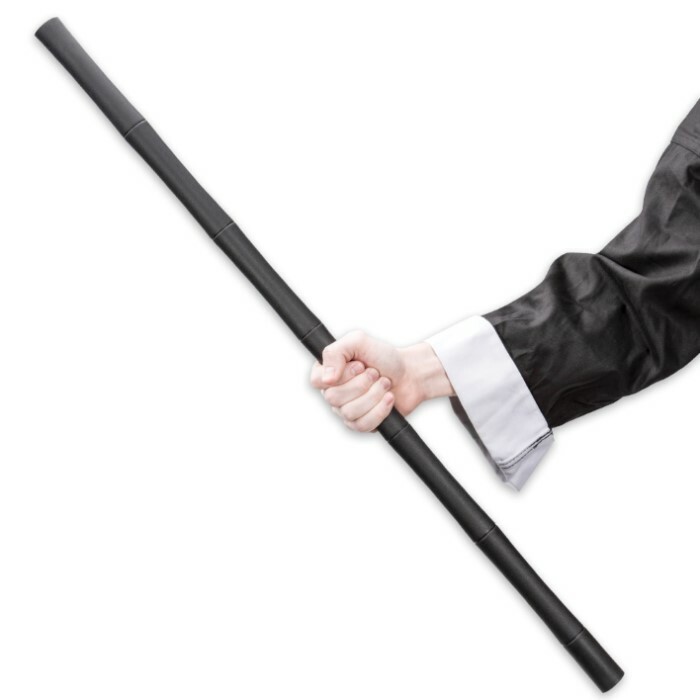 The Escrima Stick arrived without scratches or defects and you can tell by just swinging it that it is very durable. There is no doubt that this Cold Steel product will last. It's a little long for me, but you can easily fix that. Over all, a fine self defense tool to have at home. Thanks True Swords! A definite A+++++! it's the perfect length and it's so far....indestructible. The sticks can get a little bit slippery so I put a katana wrap on the bottom section were I hold them and it improved the grip and control 100%. It's a little heavier than your average hardwood kali sticks so font expect them to be as light as normal training sticks. If you're looking for a stock bag, I just used the sword back strap and it fits perfectly! And it's easy to take them out without having to unbuckle the straps. If you're looking for a training kali sticks close to combat weight, these are the ones for you. If you're looking for lightweight sticks, get the other ratten kali sticks. Pretty much unbreakable, perfect length and width but a little heavy, but that's fine. Came in perfect condition and without any damage on the date it was expected.